The railway batteries had mostly two guns. They were fully self supporting. There were kitchens, workshops and two pieces of the quadruple 2 cm Flakgun. 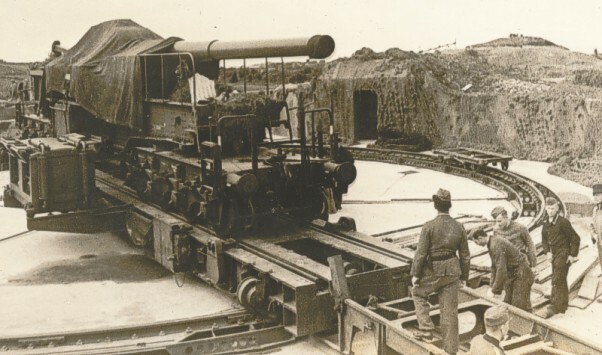 Each gun had a diesel locomotive for the short distances and for bringing in the ammunition with a "Munitionszubringerwagen". A "Temperierwagen" was used to warm up the powder bags. There were also generators that could be placed on the gun itself, once in position. 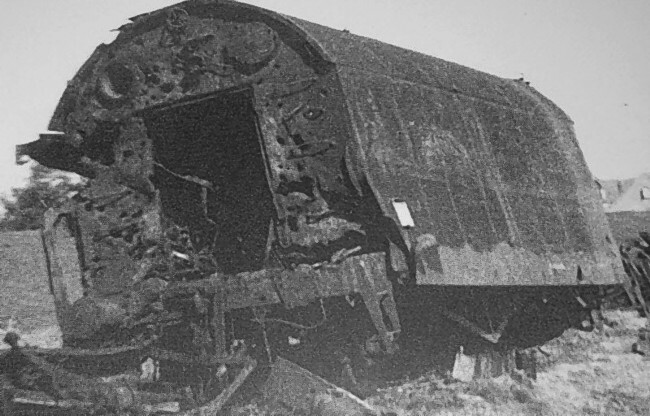 For further transport wagons for personnel were part of the trains. All together a battery had over 60 wagons which were divided in three train configurations. For the long distances steam locomotives were used. Due to the heavy weight of 800 tons per train the locs were placed in double traction. Here are two steamers that were captured from the French railways. The first one is even an English loc that remained in France after World War I. Once on location the railway track was layed down and at regular distances turntables were build. The gun was placed on a piece a track that could rotate by means of electric motors. All of this hardware was part of the battery and had to be transported on flatbed wagons. The crane on the gun assisted with the heavy parts during the construction of the turntables. The turntable of the SKC/34 gun at Auderville Laye on the peninsula Cotentin. 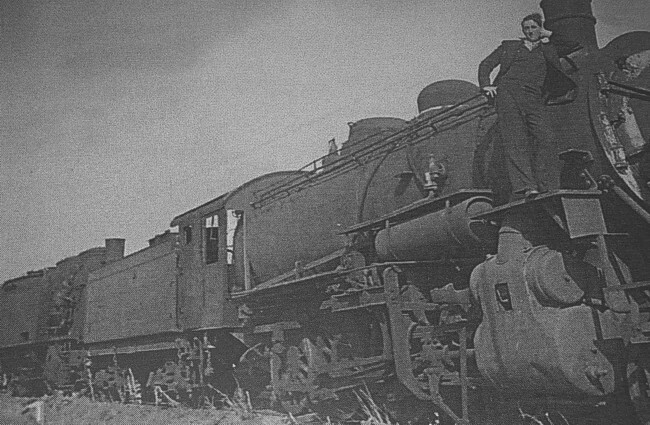 The V 36 was a diesel hydraulic loc that was used on location. A steam locomotive would produce a clearly visible smoke cloud. For more traction two locs were placed back to back in double traction. 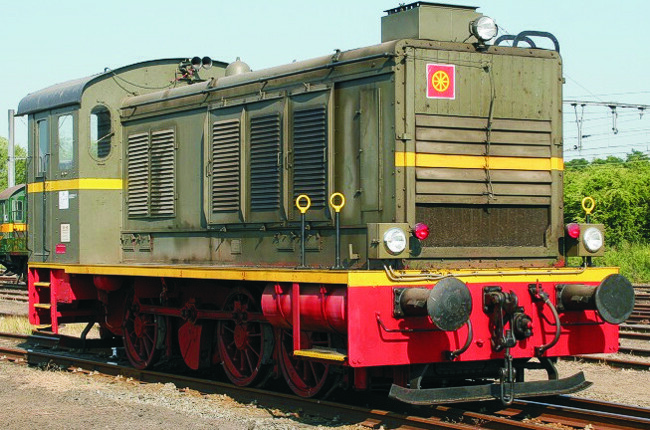 An other used local train was the D 311 which had diesel electric propulsion on both sections.